Since Memorial Day is just a few days away, we thought it was only fitting to write a quick post about this special day of remembrance. 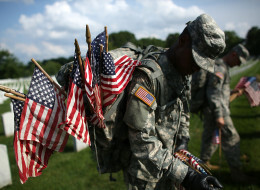 Memorial Day was originally recognized as a day of ‘Decoration’ – a federal holiday created to honor and remember the soldiers who lost their lives during the American civil war. Over the years, Memorial Day has become a day of remembrance for not only those who fell during the American civil war, but also a day of recognition and remembrance for All the honorable men and women who have lost their lives during their service in the American Armed Forces. Thank you to all our Veterans, past and present, for your dedication and service to our country and the freedom & safety you help provide.